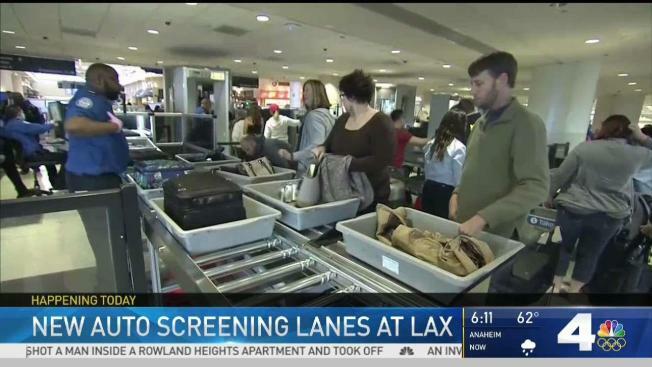 New auto screening may speed up security at LAX. Daniella Guzman reports for Today in LA Friday, Nov. 17, 2017. Southern California residents will travel in greater numbers for the Thanksgiving holiday this year than at any time since Thanksgiving 2007, with 3.87 million residents expected to get away for the long weekend -- a 3.6 percent increase over last year's 3.74 million travelers, the Automobile Club of Southern California said. Almost 86 percent of local travelers -- 3.3 million -- will be going by car to their destinations, a 3.5 percent increase from last year's 3.2 million auto travelers. Another 429,000 Southern Californians are expected to go by air, which is an increase of 5.4 percent from the 2016 holiday's 407,000 plane travelers. Another 77,000, or about the same as last year, will go by other means, the Auto Club said in a statement. 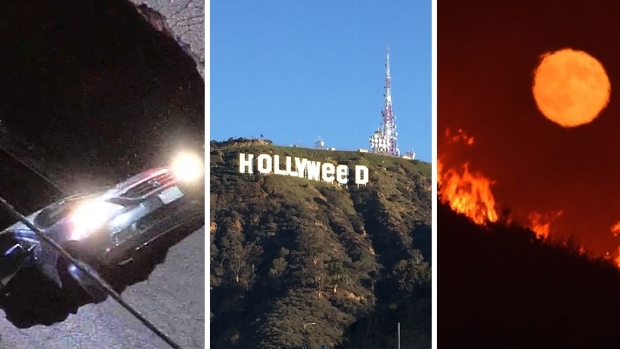 The top five destinations for Southern California travelers, according to a survey of the Auto Club's Travel agents, are, in this order, San Francisco, San Diego, Anaheim, the Grand Canyon, and Santa Barbara. Nationally, Anaheim, site of the Disneyland Resort, is expected to be the second most popular Thanksgiving destination, according to the AAA. Statewide, 6.26 million are projected to travel over the Thanksgiving holiday, also a 3.6 percent increase from last year and the highest number of Thanksgiving travelers since 2007, when 6.44 million Californians took a holiday trip. The Auto Club is expecting 5.37 million statewide to go by car, which is up 3.5 percent from last year, and another 693,000 to fly -- a 5.4 percent increase from last year. More than 200,000 are expected to use other modes of transportation, about the same as last year. Nationally, AAA predicts that 50.9 million Americans will take a trip at least 50 miles away from home during next week's holiday, a 3.3 percent increase from 2016 and the highest number of Thanksgiving travelers since 2005. Nationally, 89 percent of travelers -- 45.5 million -- will go by car, which is 3.2 percent higher than last year. About 3.3 million will fly, which is a 5 percent increase from last year's Thanksgiving holiday. California gas prices have skyrocketed in the last two weeks to their highest levels in more than two years and are likely to remain above $3.20 on average in most areas throughout the holiday weekend. This will be the most expensive Thanksgiving to fill up since 2013, when Los Angeles gas prices averaged more than $3.60 a gallon, according to the Auto Club. Los Angeles International Airport is expected to release its Thanksgiving travel projections on Friday.